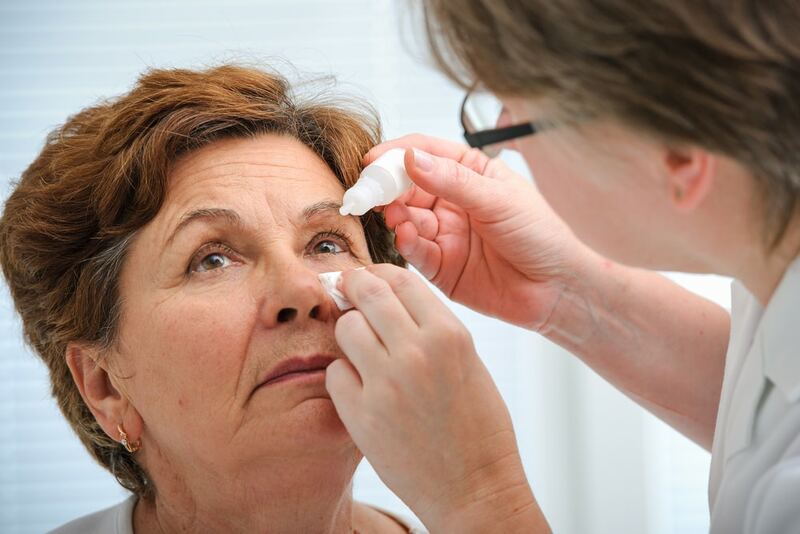 Eye infections can lead to severe loss of vision if not treated properly. Fortunately, there are common symptoms that you can easily recognize. So, you can prevent some types of eye infection from damaging your eyesight. Being aware of all the symptoms and warning signs of some types of eye infection will help you take care of your eyes and ensure that your vision stays in top condition. Eye infection symptoms can appear in either one or both of your eyes and cause inflammation that can be both very irritating and even very painful. The symptoms include: red eyes, red eyelids, discomfort, itching, burning, pain, tenderness, swollen eyelids, swelling around the eye, light sensitivity, flaking of the eyelids, painful lumps under the eyelid, eye discharge, and blurred vision. If you happen to notice any of these symptoms, it is imperative that you go to an ophthalmologist. He will give you an eye exam and provide you with the necessary treatment. There are a lot of infections that can creep up on your eyes, but the most common types that you should watch out for are conjunctivitis, blepharitis, styes and keratitis. Conjunctivitis refers to the inflammation of the conjunctiva. Caused by bacteria, viruses or allergic reactions, it usually affects both eyes and causes them to look pink or red, as well as making them feel itchy and suffer burning sensations. Although conjunctivitis is usually a minor infection, it can sometimes turn into a serious problem and even become contagious. Blepharitis is the inflammation of the eyelids. It usually affects both eyes and appears at the base of the eyelashes. Caused by bacteria, allergies or the clogging of the oil glands in the eyelids, this infection can lead to red and itchy eyes. It can also cause the eyelids to swell and the eyes to become very sensitive to light. It is a minor condition that can easily be treated and it does not harm the vision. Styes result from a bacterial infection in an oil gland located in the eyelid. It causes a red lump to appear under the eyelid or at the base of the eyelashes. The swelling can sometimes be painful and even interfere with vision. It can also turn into a recurrent problem, in which case an eye examination and the appropriate treatment are vital. Keratitis is the inflammation of the eye’s cornea, caused by various infections, dry eyes, and bacteria, parasites or viruses in the water. Contact lenses can increase the risk of this infection, which can lead to eye redness, tearing, blurred vision, and even eye pain. In order to take care of your eyes, you need to maintain good hygiene and have regular eye exams. We provide eyesight tests and medical eye check-ups at the New Jersey Eye Center in Bergen County. We are proud to work with licensed ophthalmologists who are incredibly patient-centered and treat every patient as if they are a member of their own family. We provide treatment for all the common symptoms and types of eye infection. We promise to take excellent care of your eye health. Contact us or walk in for an exam and treatment as soon as possible. We guarantee that you will leave our Eye Center seeing the world through completely different eyes! Short Description: Eye infections can lead to severe loss of vision if not treated properly. Fortunately, there are common symptoms that you can easily recognize. So, you can prevent some types of eye infection from damaging your eyesight. Being aware of all the symptoms and warning signs of some types of eye infection will help you take care of your eyes and ensure that your vision stays in top condition. We provide treatment for all the common symptoms and types of eye infection. We promise to take excellent care of your eye health. Contact us or walk in for an exam and treatment as soon as possible. We guarantee that you will leave our Eye Center seeing the world through completely different eyes!